It was KymNonstop in Malibu for a private charity ride with a organization that is so dear to my heart called Life Rolls On, which works with kids and adults with spinal chord injuries. It was founded my friend, Jesse Bilhauer, a local Malibu surfer that became paralyzed one morning at Westward beach while surfing. The charity ride was September 13th, 2014 and it was my birthday. The ‘Bu crew brought in a cupcake and I sobbed like a child. I was hooked from then on! It was in the early mornings with Angela Davis before going to my corporate job. Somewhere along the line in LA, I tapped out. I just decided "sitting is the new smoking" and I didn't want to be a part of the path that I was going down. So I sought out a job with SoulCycle and, through a lengthy process, I landed the role of ASM at WEHO. I eventually helped open SoulCycle’s West Coast headquarters in CLVR City. It was for instructor Danielle McCleerey during the last leg of her pregnancy. From then on I was constantly jumping up there for instructors, pretty much anyone who would give me a shot. Not too long after that I decided to audition and was picked to go to training. I also taught yoga at SOUL HQ on the West Coast so I think teaching yoga and wanting to teach fitness played a factor in wanting to become a full blown fitness guru. I live to be of service to others and love to spread all the good vibes around. SERVE•INSPIRE•RECEIVE•SPARKLE. I think being of service is why we are put here on this Earth and to just always be the best version of ourselves and be kind to one another. Spirit Junkie by Gabby Bernstein. I'm her biggest fan — when she spoke at Soul HQ, I lost it! Other books I love: Expectation Hangover by Christine Hassler, Mastering Your Inner Mean Girl by Melissa Ambrosini and, my guilty pleasure beach reading: Bergdorf Blondes and Valley of the Dolls. It was to “It's about that Walk" by Prince. It will forever hold a special place in my heart. "NEW YORK, NEW YORK" by Frank Sinatra. It’s just so awesome and I am a huge film Noir and Rat Pack era fan in general. I played saxophone for almost 11 years so anything by Otis Redding or swampy jazz music I LOVE. I also cheered NCAA D1 in college so I love mega mix's and high octane beats. • My parents— they have had my back through anything and it has been a long windy road before I found my calling with SOUL. • MY CLVR crew + Hunter Parrish & Cassi Hoye for celebrating all our successes together as managers and for always having my back NO MATTER WHAT! • Debbie Valois, Brent Laffoon, Angela Taylor — my yoga and life gurus who have brought so much spirit and love to my life! • Bonnie Leitdtke — my pseudo life manager/mentor but most importantly friend who has given me the courage to believe in myself and pursue my dreams. We rediscovered each other at SoulCycle and I am forever grateful for that. "Fear doesn't shut me down; it wakes me up!" 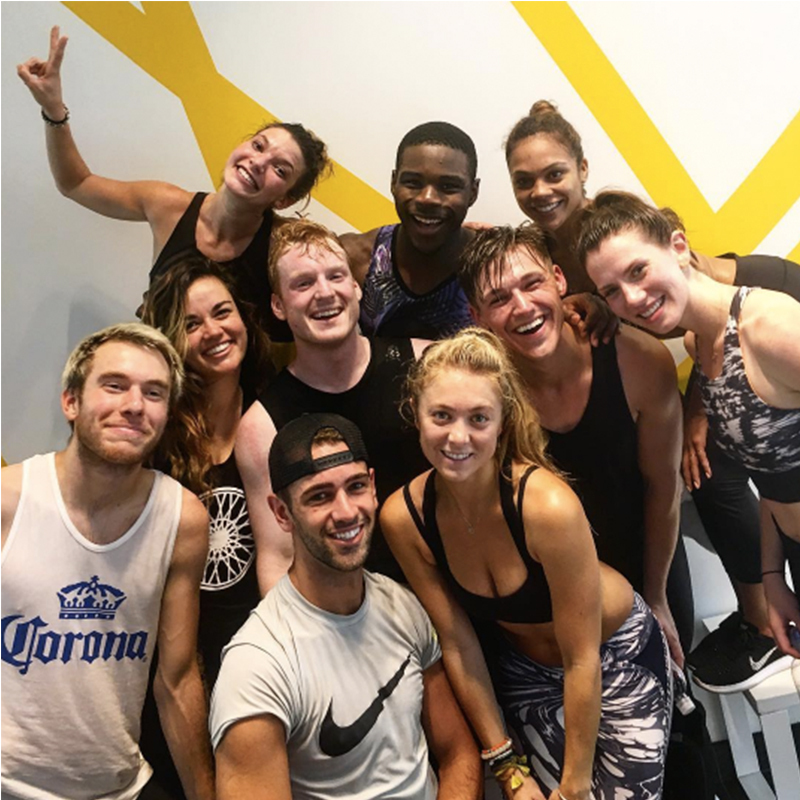 Catch classes with MADDY at SoulCycle Back Bay, Beacon Hill and Chestnut Hill! Questions or comments? Email soullife@soul-cycle.com! Want to ride? Grab a series HERE and book a bike!